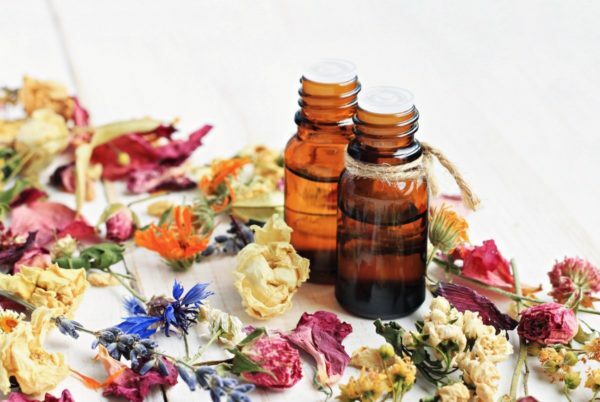 With all information floating around the internet, you have to be careful with what you believe – and when it comes to “facts” about aromatherapy and essential oils, this goes doubly so. As such, there are a lot of bloggers and influencers that aren't qualified to provide trustworthy information on these topics but tout their knowledge as facts. And with the sheer amount of traffic that certain websites receive on a daily basis, these myths quickly snowball into the realm of common knowledge. Because some of these falsehoods can prove dangerous to your health, we’re here to clear up some of the common misconceptions about aromatherapy. Truth: 100% pure essential oils, which are your therapy-grade oils from trusted manufacturers, are extracted through a distillation process from the natural oils of various plants, flowers, woods, and herbs. Unlike fragrance air fresheners, essential oils do not contain any synthetic perfumes, additives, dyes, or chemicals. There are many therapeutic-grade standards, created as a unique development system by the company producing the oil. This is why the specific quality of one essential oil may vary from manufacturer to manufacturer. All are pure 100% oils when they come from a reliable manufacturer, but there are different caveats that may affect the quality, such as outsourced labs, the method of collection and packing, and so on. Nonetheless, essential oils are in no way comparable to those used in air fresheners. Truth: Essential oils do not cure anything. They do, however, provide a natural alternative measure for the prevention and treatment of an array of health issues. Calming essential oils like lavender, for example, trigger relaxing responses in the brain and body when inhaled. Likewise, tea tree oil is known to have properties that can help alleviate the symptoms of some skin issues when applied topically. So, be on the lookout for anyone who claims that an oil or fragrance “cured” them of an ailment. Remember: there’s a good reason the FDA prohibits essential oils from having the word “cure” labeled on any of their packaging. Truth: Many essential oils have a relatively long shelf-life, but none of them will last forever. There are very few things on earth that have been scientifically proven to have an eternal shelf-life in a natural, raw state—really just honey, sugar, salt, and rice (if it’s been dried). Essential oils will remain fresh for long periods of time, but eventually oxidation will degrade the chemical properties of the oil after many times opening the container. This is especially true of citrus oils because high levels of limonene cause the oil to oxidize relatively rapidly and easily. The above said, there are some oils, particularly those containing sesquiterpene alcohols, such as sandalwood does, that do become more potent with age. This is up to a certain degree, of course; unlike honey, distilled sandalwood hasn't been found in any ancient Egyptian tombs for research. Deterioration of any essential oil can be slowed by ensuring limited air space surrounding the oil and by storing it in the refrigerator. But even with these measures, your oils are going to eventually lose their efficacy. Internal use of many essential oils can be safe and effective, but the lack of consistent authority regulating precautions and establishing universal guidelines has made the internet a haven of dangerous misinformation. If you follow some simple cautionary measures, you'll be able to safely enjoy the benefits of ingesting essential oils. Basically, you should follow the same practices you would in ingesting a prescribed medication—speak with your qualified healthcare provider; apprise yourself of any side effects, precautions, and dosage limitations specific to you and your overall health; and immediately stop usage if you experience any ill side effects. Truth: The general quality of an oil has nothing at all to do with its viscosity. The thickness of an oil is hinged on the plant it comes from. Myrrh essential oil, for example, is a much thicker gooey substance when extracted than something like lavender oil. The quality stems from the extraction process itself, then how it’s distilled, and finally, the purity of the essential oil. To judge an oil's quality in any way by its thickness requires you to be highly knowledgeable about the physical characteristics of each individual oil. A better alternative is to research the manufacturer to determine their sources, processes, and standards. Author Bio: Heather Lomax is a media relations specialist for Aromatique and a contributing writer. She writes for a variety of home and lifestyle blogs, taking special interest in the benefits of aromatherapy and innovative ways to decorate living spaces.